Look for Cancer, and Find It! One especially disturbing criticism is that screening mammography may lead to “overtreatment,” in which some women go through grueling therapies — surgery, radiation, chemotherapy — that they do not need. Indeed, some studies estimate that 19 percent or more of women whose breast cancers are found by mammography wind up being overtreated. 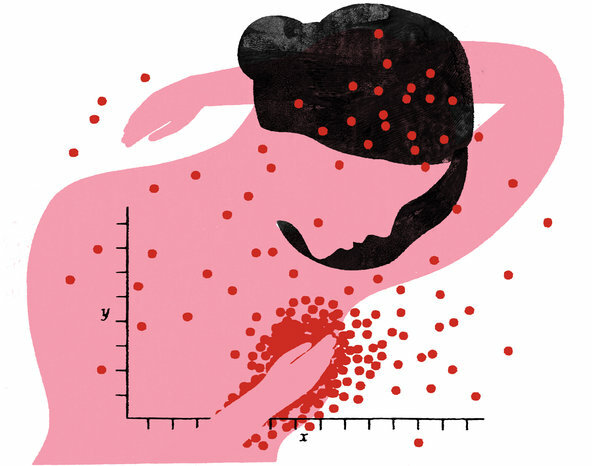 This problem occurs, researchers say, because mammography can “overdiagnose” breast cancer, meaning that some of the tiny cancers it finds would probably never progress or threaten the patient’s life. But they are treated anyway. Overdiagnosis is not the same as a false positive result, in which a test like a mammogram initially suggests a problem but is proved wrong. False positives are frightening and expensive, but overtreatment is the potential harm of mammography that worries doctors most, according to an article published last week in The Journal of the American Medical Association. In the past, overdiagnosis was thought to apply mainly to ductal carcinoma in situ, or D.C.I.S., a breast growth that may or may not turn cancerous. Now, researchers think that invasive cancers are also being overdiagnosed and overtreated by mammography. But mammography can find all of these tumors, even those too small to feel. And doctors and patients rarely watch and wait — once a tumor is found, it is treated, because nobody knows how to tell the dangerous ones from those that could be safely left alone. “Everyone has an anecdote of a small spot on mammography year after year that was finally biopsied and turned out to be positive — invasive, low grade,” said Dr. Constance Lehman, a radiologist at the Fred Hutchinson Cancer Center and the director of breast imaging at the University of Washington in Seattle. But in several studies, the number of cancers in the unscreened group never caught up with the number in the mammography group. The reason for the difference, researchers assume, is that there must have been women in the unscreened group who had cancers that were never diagnosed and never progressed — and therefore did not need treatment. This kind of calculation was used in a Canadian study of about 90,000 women, published in February in the journal BMJ. The authors found that after 15 years there was a “residual excess” of 106 invasive cancers in the mammography group. The authors attributed that to overdiagnosis, and said that it amounted to 22 percent of the 484 invasive cancers found by mammography. They concluded that for every 424 women who had mammography in the study, one was overdiagnosed. Other studies have estimated overdiagnosis in different ways, with huge variations in the results, reporting that 5 percent to 50 percent of cancers found on mammograms are overdiagnosed. To make it clear that the numbers are uncertain, some offer ranges: For example, one says that if 10,000 50-year-old women have annual mammograms for 10 years, 30 to 137 women will be overdiagnosed. The best hope for resolving the confusion may lie in molecular tests that can tell the difference between dangerous tumors and those unlikely to progress — but those tests are in the future. A version of this article appears in print on 04/08/2014, on page D6 of the NewYork edition with the headline: Look for Cancer, and Find It. This entry was posted in Breast cancer, Cancer, Cryoablation, Kidney Cancer, Mammogram, Mammography, Surgery, Tumour and tagged Breast cancer, GL-W, Greg Lance-Watkins, Greg_L-W, Mammogram, Mammography, Overtreatment. Bookmark the permalink.